Nitrous Express Fill Station UNIVERSAL - Lightning Motorsports - Selling Speed since 1996 ! 6lbs. Per Min. Run Dry Technology. w/Stand, Lines, & Pump Run Dry Technology. Tired of the hassles with your antique nitrous pump? 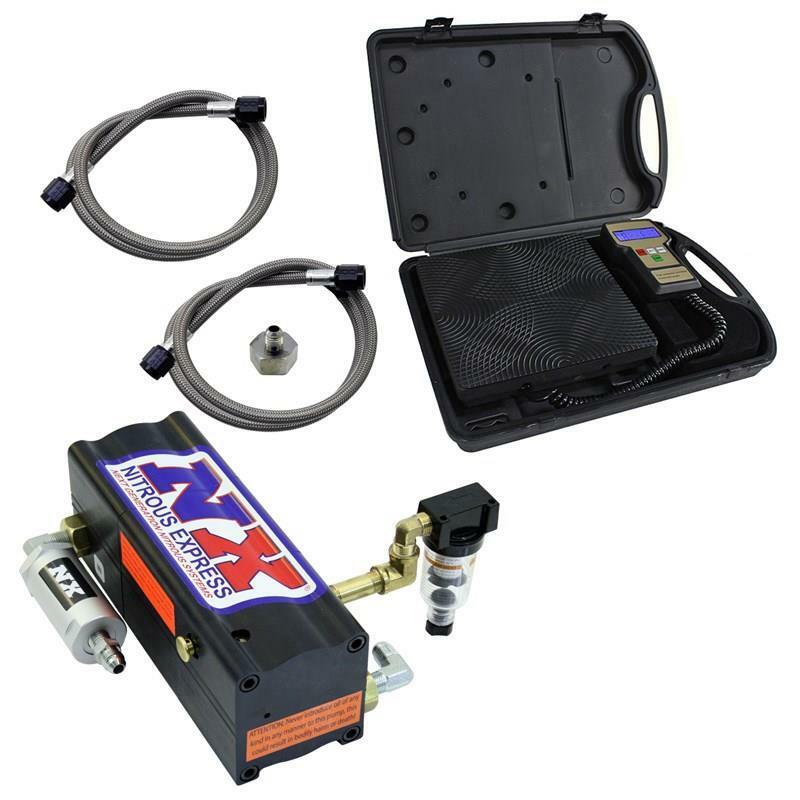 What you really want is the NX Next Generation Nitrous Fill Station. Designed from a clean sheet pf paper, not adapted from some other use, this billet “Bad Boy” puts the others to shame. Its balanced, double end pumping design is able to deliver 6lbs of nitrous in 60 seconds, optional, built in digital scale, run-dry technology, and the quietest pump on the planet. This pump can be operated “dry”, without nitrous, for extended periods with no seal damage and requires only a fraction of the air required by the current designs available.